Please contact jonathan@usgbctexas.org for a refund if you have already registered and cannot make the earlier time. We apologize for any inconvenience. If you can make the earlier time, please gather at the Cookbook Bar & Café http://www.cookbookatx.com/ in the library. 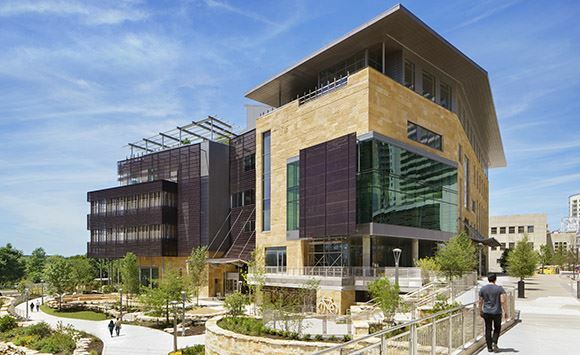 Join USGBC Texas for a tour of the Austin Central Library led by Jonathan Smith of Lake Flato Architects. The new $120 million library establishes a culturally-sensitive, civic presence and community gathering space in the heart of downtown, overlooking Shoal Creek and Lady Bird Lake. Jonathan’s integral experience with leading the Austin Central Library project reflects his passion for creating better communities by design. The tour will highlight the sustainability-related features of the projects including the on-site solar PV array and other design considerations.